So many of us are endlessly stressed, especially if you are trying to run a business and take care of a family at the same time. Stress can lead to insomnia, high blood pressure, weight gain and other conditions and illnesses. Thankfully, there is one easy and organic way to help alleviate your stress level: herbal teas. That’s right, a restful night’s sleep and less anxiety is just a cup away. The most organic way to make an herbal tea is with herbs that you grew at home; and, they’re not at all difficult to cultivate. You can buy herbs at your local home and garden store or at a nursery, place them inside your home and water them daily for a bountiful harvest. The leaves of the herbs can then be laid out to dry for up to a week and then used in boiling water as a healthy brew. If you’d rather go the easiest route, sometimes the simplest way with all that is going on, you can purchase non-caffeinated herbal teas at your local health food store, or even online. There is more than one stress relieving herb that can be used for teas, but I will discuss the top three: Chamomile, Lavender and Peppermint. Making Chamomile Tea is as easy as putting three to four tablespoons of the dried leaves in boiling water and letting the mixture steep for 5-10 minutes. Lavender tea has the same antioxidants as regular tea leaves, but does not contain energizing caffeine. Lavender tea has been known to reduce anxiety and reduce the digestive issues that usually go along with stress for most of us. A cup of Lavender tea at bedtime should be a part of your soothing, self-care routine every evening. Peppermint tea is one of the best to brew to holistically deal with your stress level. I had always mistakenly thought that it was an energizing herb, boosting our levels of vigor, but not so! The naturally present menthol in Peppermint is a reputable muscle relaxant, so our muscles entering a state of relaxation induces sleep and lessens stress. 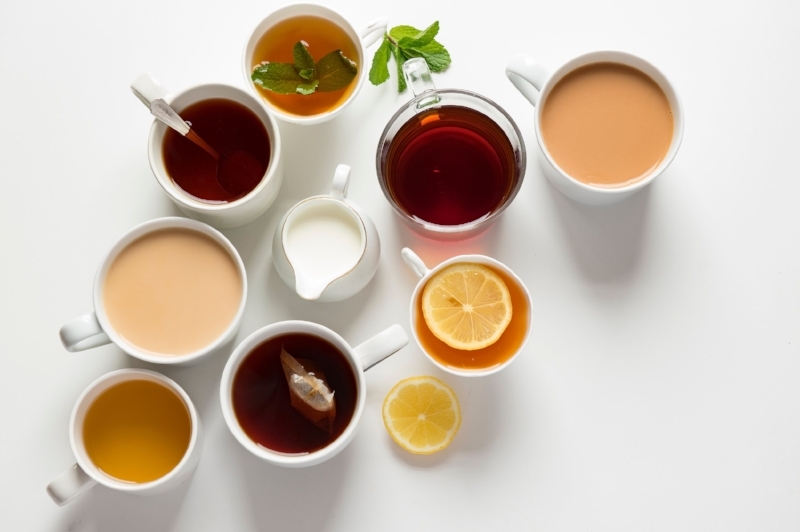 Both Lavender and Peppermint teas can be brewed in the same manner as the Chamomile tea and honey can be added to each for a bit of a sweeter taste. With stress being number one concern for so many of us working women, it is a relief to know that it can be eased without the use of pharmaceuticals, rather with herbs that we can grow right in our own homes, ethically. Martyna Baker is owner of Old Time Zen and certified in Natural Holistic Remedies. Old Time Zen is a herbal kitchen of handcrafted bath, body and holistic products out of Southern Indiana. You can connect with Martyna directly with any other questions about natural remedies at martynabaker@gmail.com! Activated Charcoal & Vanilla Vegan Soap!